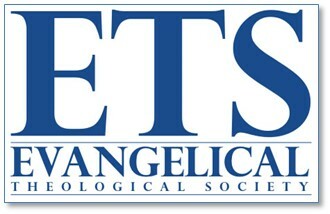 I attended the 70th annual meeting of the Evangelical Theological Society (ETS) in Denver, Colorado last week. For those of you who don’t know, ETS is a society of theologians and biblical scholars who are dedicated to biblical inerrancy and a belief in the Trinity. At the annual meeting, members come together to present academic papers, meet with publishers, and catch up with old friends. What follows are some reflections about this year’s meeting. The theme this year was “The Holy Spirit,” and the most stimulating session I attended on that theme was a debate on cessationism vs. continuationism. Tom Scheiner and Lig Duncan made the case for cessationsm, and Andrew Wilson and Sam Storms made it for continuationism. I am a convinced cessationist, and that is due in no small part to Tom Schreiner’s influence in my life. Having said that, I found Andrew Wilson’s rejoinder to be a compelling counterpoint to Schreiner’s recent book. Wilson is always a great presenter, and his response to Schreiner was no exception. Nevertheless, I think Wilson and Storms failed to quell my concern about the weaknesses of their position. At the end of the day, Wilson and Storms were not able to give a convincing case for why OT prophecy and NT prophecy are different. Wilson suggested that some OT prophecy was indeed errant and that we should not be surprised that NT prophecy is as well. But the texts he cited in support of this are dubious at best. Wilson also tried to argue that while prophetic revelation is inerrant, the prophet’s reporting of that revelation can be flawed. But this fundamentally misunderstands the role of prophets, who not only receive inerrant revelation but who are enabled by the Holy Spirit to communicate it without error. As the apostle Peter writes, “No prophecy was ever made by an act of human will, but men moved by the Holy Spirit spoke from God” (2 Peter 1:21). The Holy Spirit not only reveals the word, he also enables the prophet to speak “from God.” To deny that this is the case would not only cause problems for the veracity of prophecy but also for the truthfulness of scripture. It was a stimulating discussion, but I think Schreiner and Duncan made the stronger case. We are still seeing more presentations from ETS members that affirm LGBT identities. I noted as much three years ago in the immediate aftermath of Obergefell when ETS members expressed support for gay marriage during a particular session. Until this last meeting, I had not seen an ETS member advocate for transgender identities, but that has all changed now. Andy Draycott (a professor at Biola University) presented a paper titled “Walking across Gender in the Spirit? 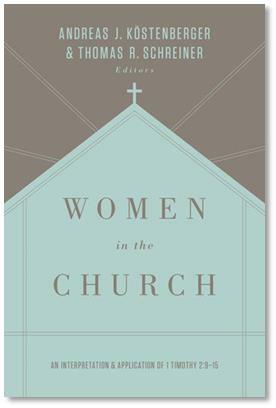 The Vocation of the Church and the Transgender Christian.” Draycott not only argued in favor of transgender identities, he also argued that the symbolism of baptism supports such shifts in personal identity. See Colin Smothers’ detailed critique of the paper here. I bring this up because the presence of such a paper provokes us to ask the boundaries question again. Is ETS going to be a society that includes affirmation of LGBT identities? If it is, in what sense is it an Evangelical Theological Society? I know this is an old discussion and one that has been fraught with difficulty within the ETS. But how can we avoid it? The ETS’s doctrinal basis only requires a belief in the Trinity and Inerrancy. Ray Van Neste has argued that in the wardrobe of doctrinal statements, the ETS’s is a bikini. It covers some essential areas, but it leaves us far too exposed in other areas. Is it possible that a member in good standing who affirms Trinity and Inerrancy might come to a conclusion that affirms transgender identities? Apparently, the answer is yes. With our doctrinal basis as thin as it is, on what grounds could anyone possibly object? Should we not expect more of this in the future? I think we should. No question. And that situation will continue until the membership of the society decides that they want a change. Such a change, however, is very unlikely. The ETS in recent years has shown little interest in drawing more boundaries or in a strict enforcement of the current boundaries. The non-binding gay marriage resolution adopted three years ago only passed after a contentious floor debate. I think all of this indicates that there will be more presentations affirming LGBT identities at future meetings. I hope I’m wrong, but I don’t think I am. In day one of ETS, I participated in a panel debating The Nashville Statement. Our session was titled “The Nashville Statement: Promise or Problem for Evangelical Sexual Ethics.” Preston Sprinkle and Joel Willitts made the case against Nashville while Andrew Walker and I made the case for it. As with earlier critiques of The Nashville Statement, neither Preston nor Joel focused their attention on what the statement says on its own terms. In fact, Preston and Joel expressed a great deal of agreement with the substance of the statement. Rather, they focused on the tone of the statement and its timing. They insisted that a statement like this will do nothing but alienate those outside the church while “harming” certain strugglers within the church. They also said that a statement like this one should have begun with an apology to LGBT people for all the sins that the church has committed against them. Again, this wasn’t a critique of what the statement says but of what it doesn’t say. 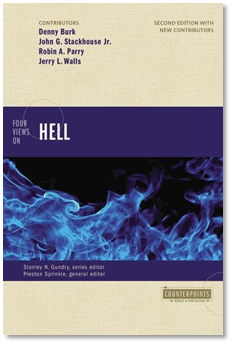 The closest thing we got to a substantive critique was Preston’s quibbles about the use of certain terms like “self-conception,” “transgenderism,” and “homosexual.” But even here, his issue was not with what we meant by those terms but with an alleged lack of clarity or sensitivity. Yes, The Nashville Statement is direct in what it asserts, but it is a distortion to describe it as harsh or harmful. It is simply a statement that provides confessional guidance for those who need it. And there are many within the evangelical movement who need this kind of biblical clarity. There is a reason why the boards of Southern Seminary, Cedarville University, Union University, Reformed Theological Seminary, and others have adopted the statement. Language from the statement has also been affirmed by the Southern Baptists of Texas Convention, the Arkansas Baptist Convention, the Illinois Baptist State Association, and the Calvary Presbytery (PCA) in South Carolina. Evangelical churches and institutions need the kind of clarity that The Nashville Statement provides, and that is what it was designed for. To critique the statement for failing to appeal to millennials outside the church is like complaining that your car isn’t good at making ice cream. A car is not designed to make ice cream, and it says nothing about the working order of a car that it doesn’t. Likewise, The Nashville Statement was never meant to be a script for evangelism or cultural engagement. But then again, neither is the Baptist Faith and Message or the Westminster Confession. We don’t criticize those faith statements on those grounds, so why criticize The Nashville Statement on those grounds? I don’t think those kinds of critiques are very compelling at all. In any case, I am very grateful that Preston and Joel chose to be a part of the panel. It was stimulating, even if we failed to resolve our disagreements in the end. One more item of note: Dr. R. Albert Mohler, Jr. was elected at vice-president of ETS, which means that he is in line to be the next president of ETS. 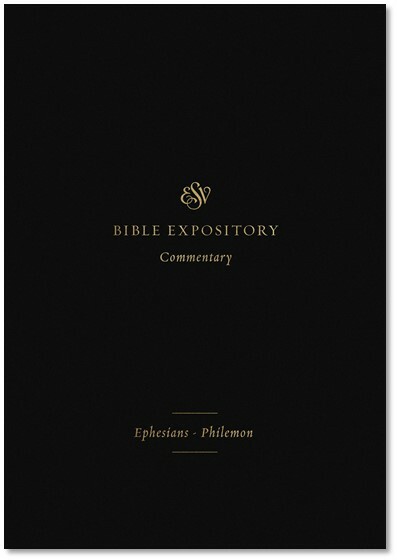 You can read more about it in SBTS’s news release. As many of you know, Dr. Mohler is the president of the institution where I serve, and we are very grateful for his leadership. We are looking forward to his leadership at ETS in the days ahead. Congratulations, Dr. Mohler!